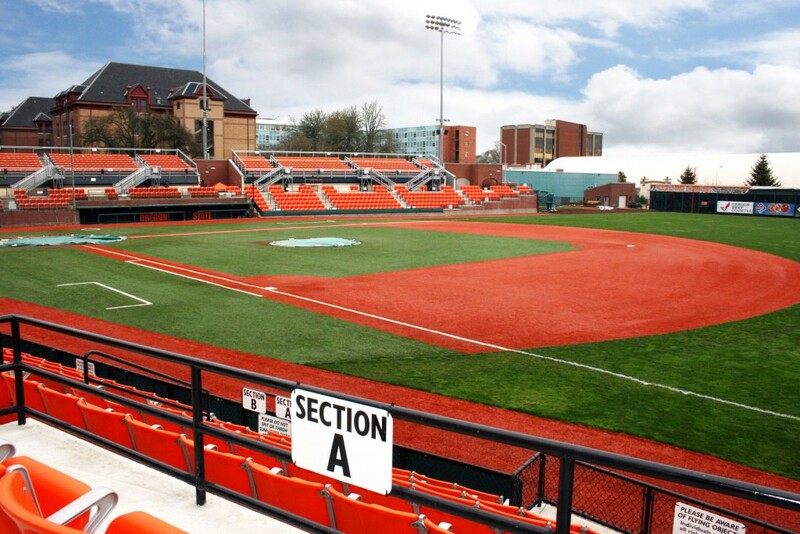 In 1999, our firm designed a completely new baseball stadium for Oregon State University, upgrading Coleman Field, which is the oldest active baseball field on a college campus in the United States. 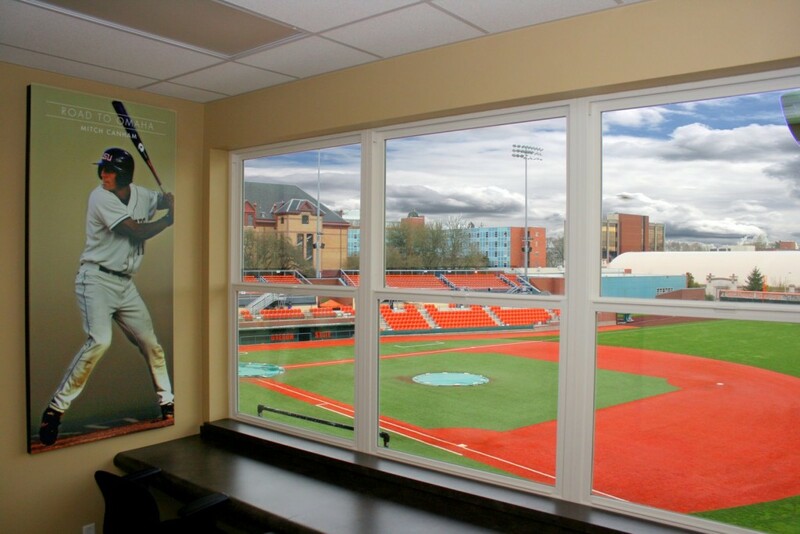 Goss Stadium is a state-of-the-art college baseball facility with seating for 1,460 people. 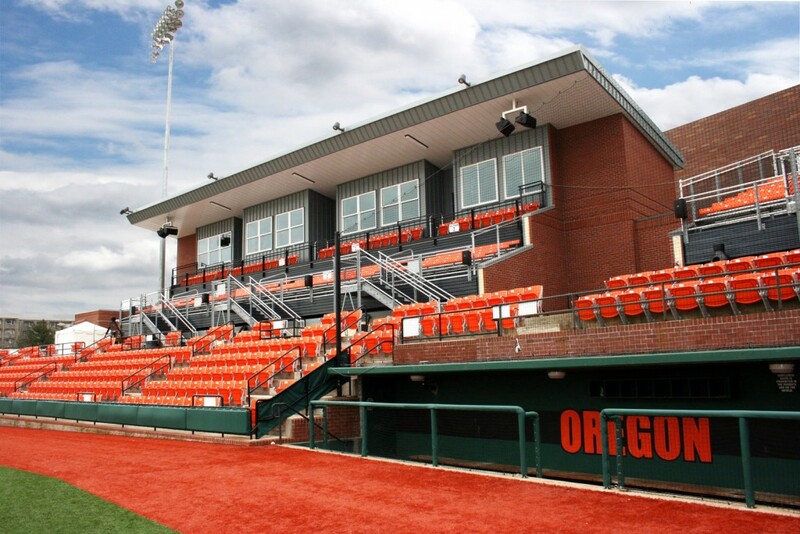 When the Beavers’ baseball program won their first NCAA World Series Championship in 2006, the University decided to expand the baseball facilities to seat approximately 3,000 spectators and provide other amenities. 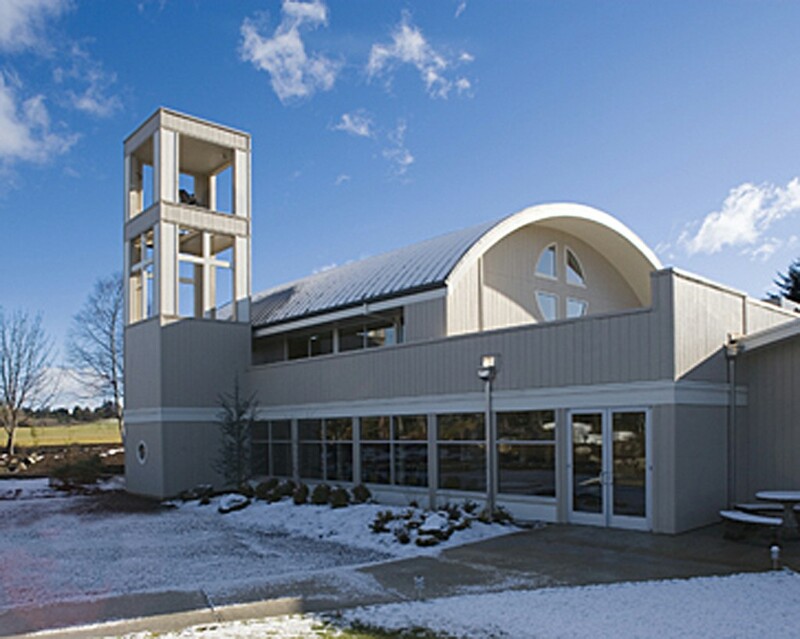 Completed in November 2008, the stadium expansion provides a seamless continuation of the original stadium façade which fits into the context of the college campus with the use of brick and arches. 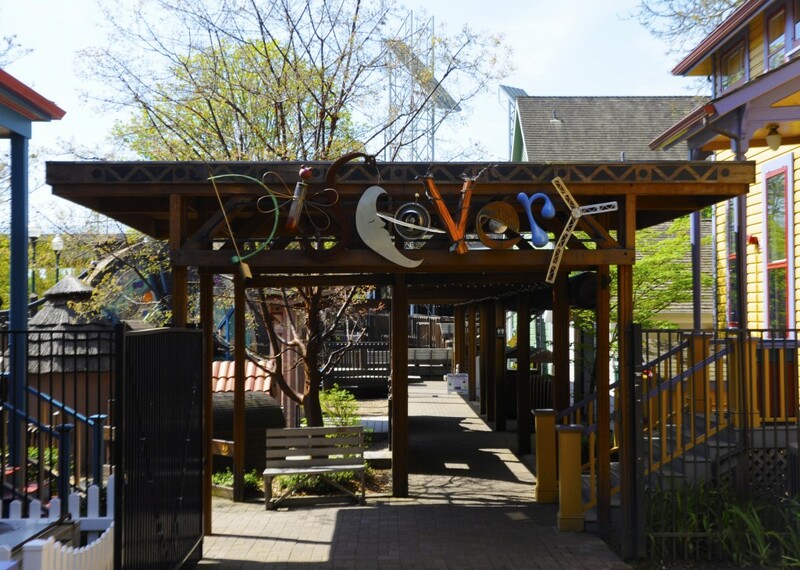 The expansion bends towards the diamond to provide better viewing opportunities while maintaining campus pedestrian and vehicular service accesses. 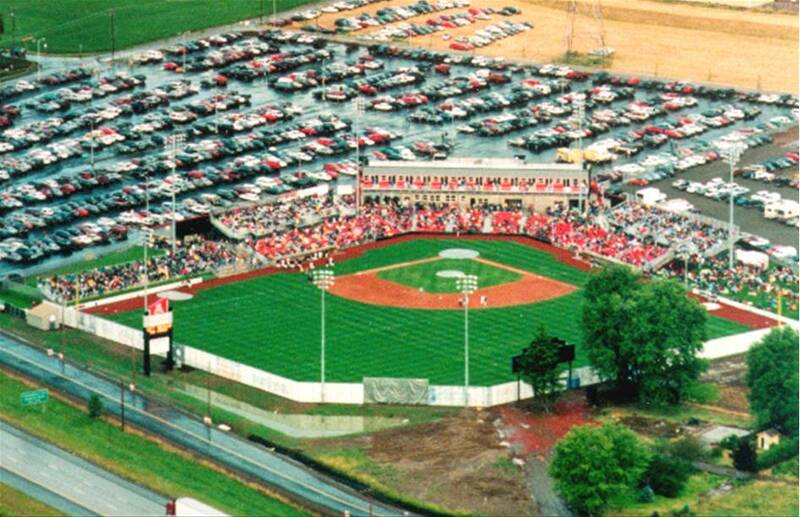 For cost considerations, the design avoided conflicts with the existing field light standards and one existing bullpen. 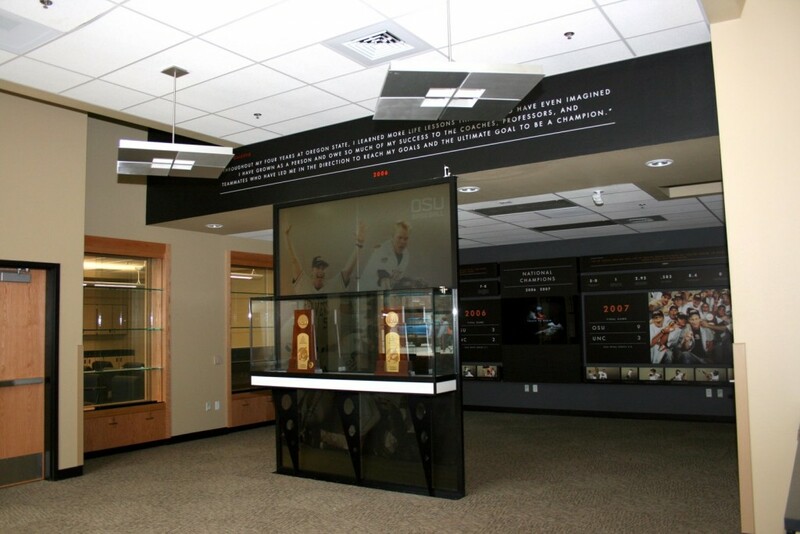 The design includes additional seating along the right and left field baselines, a new sky box viewing area with covered exterior box seats for booster club supporters of the program, an academic center for baseball athletes, and a reception/display area for baseball memorabilia of the fine history of Oregon State Baseball, including the NCAA World Series Championship trophies. 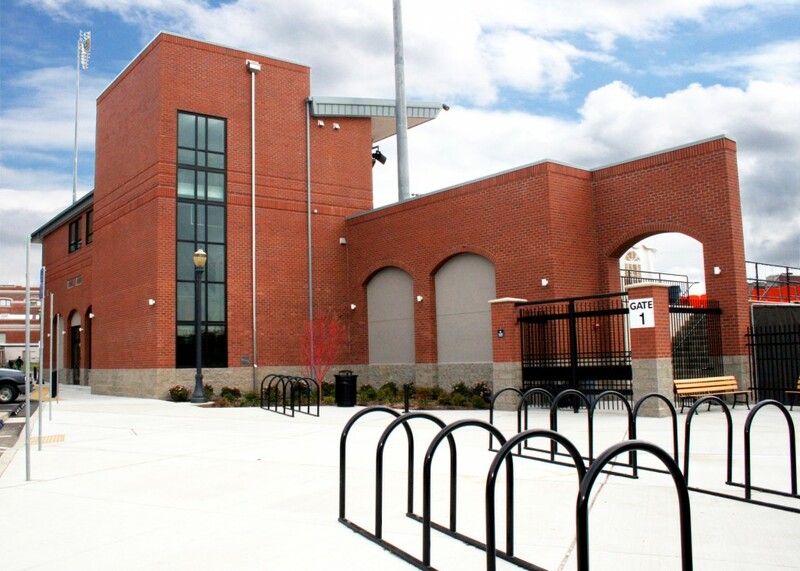 The expanded facility also provides additional handicap accessible restrooms, expanded concourse viewing areas, storage areas for university athletics, sitework, and new technological infrastructure for the outfield scoreboard and television production trucks. 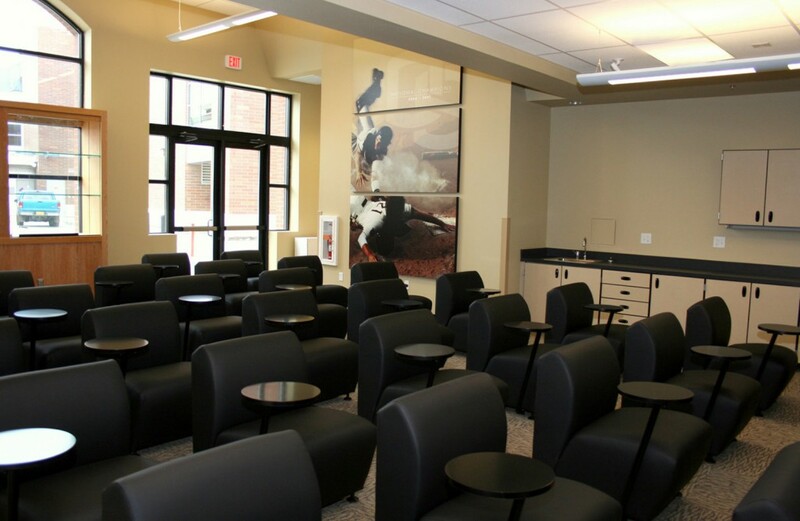 The new seating brings spectators down to field level providing optimal views and maintains the intimacy of the college game. 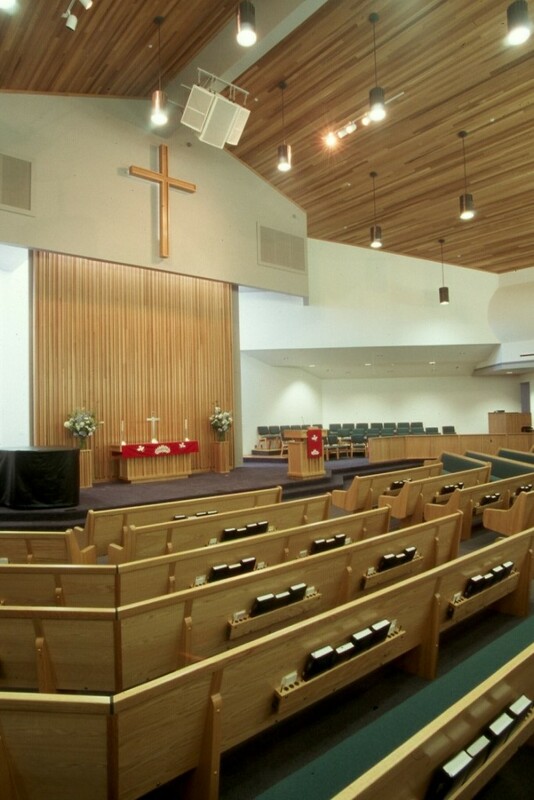 Our Savior’s Lutheran Church, located on Baxter Hill in Salem, involved approximately 38,000 s.f. 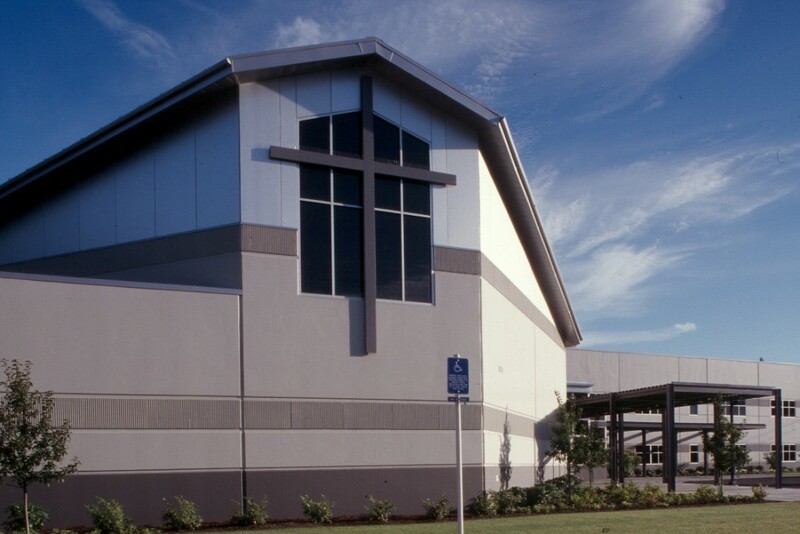 and includes a small 400-seat sanctuary, 600 seat multi-purpose room for worship, recreation and fellowship, and an education/administration wing providing space for a preschool program and comprehensive Christian education program. 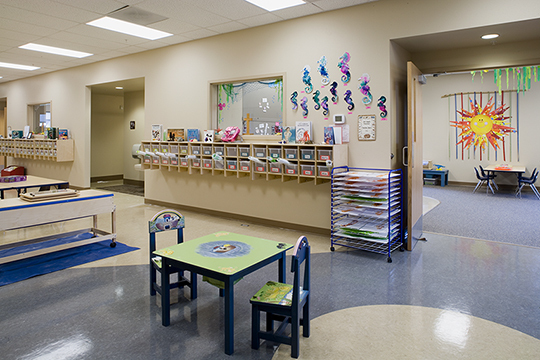 Our Savior Lutheran Church has since used the planned space to expand their preschool to include kindergarten, first and second grades. 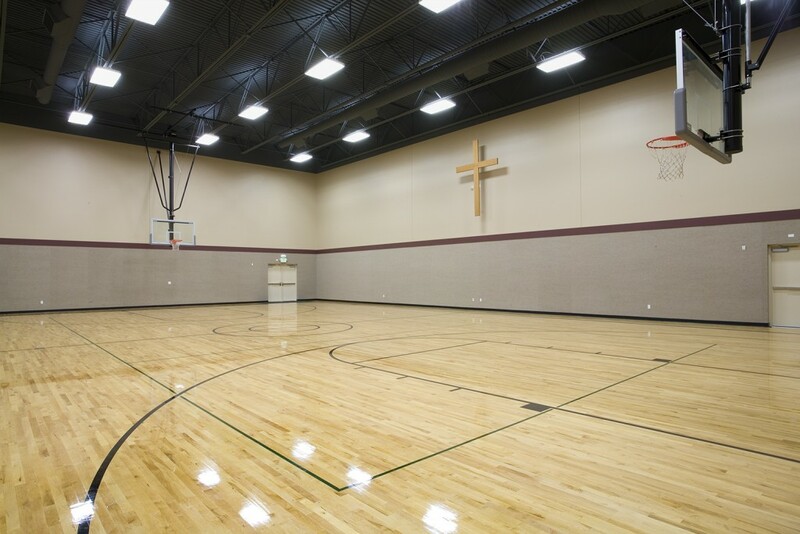 The 10 acre site has provided space for further expansion of their Faith House Community Hall and proposes an 800-seat future sanctuary, playground and ballfields. 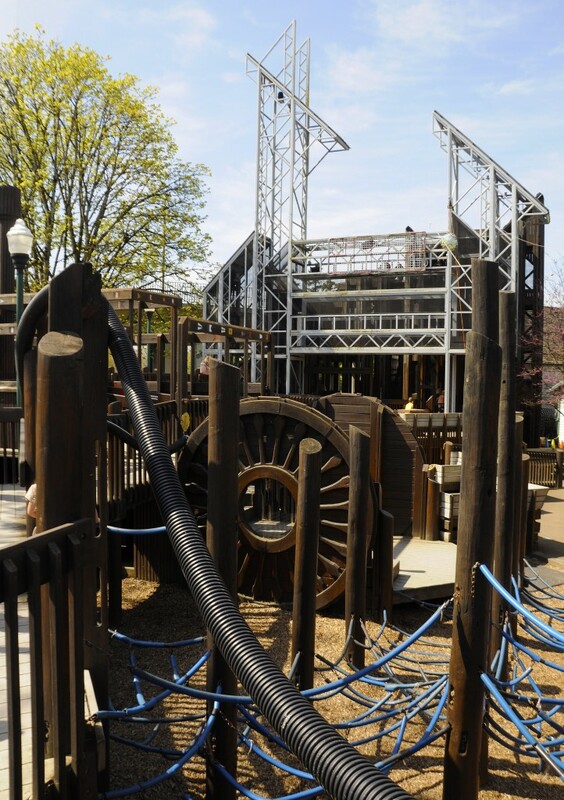 AC + Co assisted the City Council and City Administration on all design issues with this complex public/private partnership. 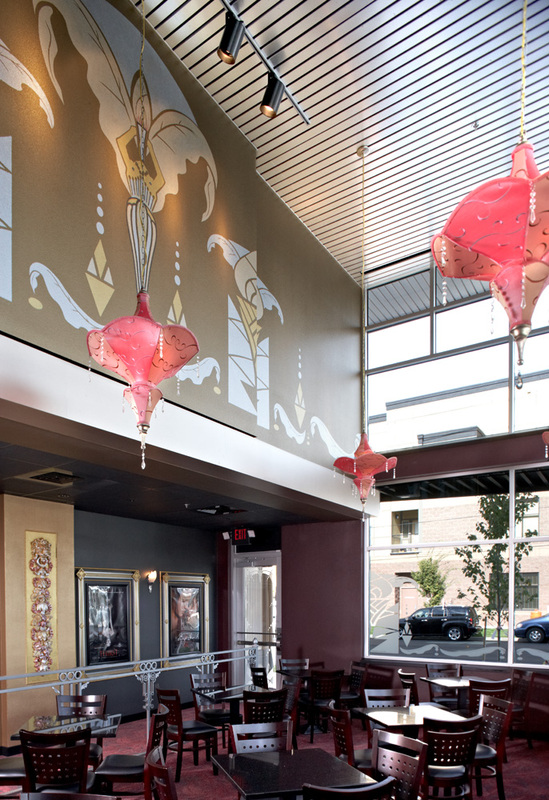 The scope of work included communications with the Owner, facilitation of all community forums, and ultimately, leadership on the final design solutions ranging from the look of the building to the interior finishes. 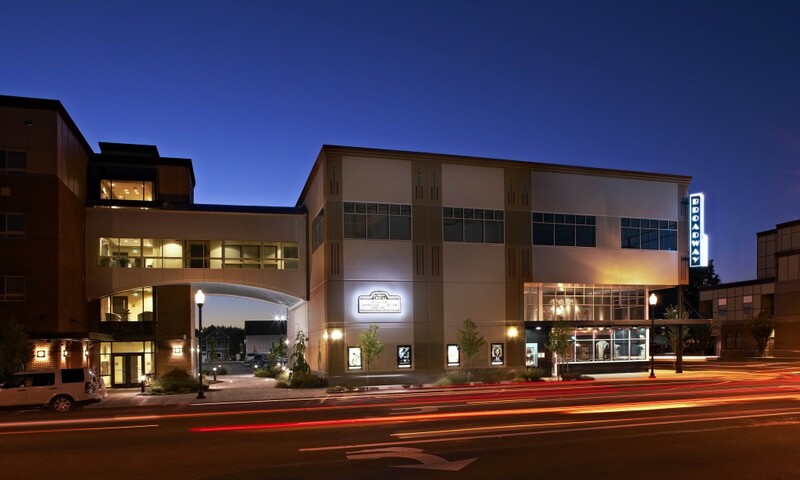 In a separate contract, the City of Salem engaged our firm to complete the LEED Silver Certification. 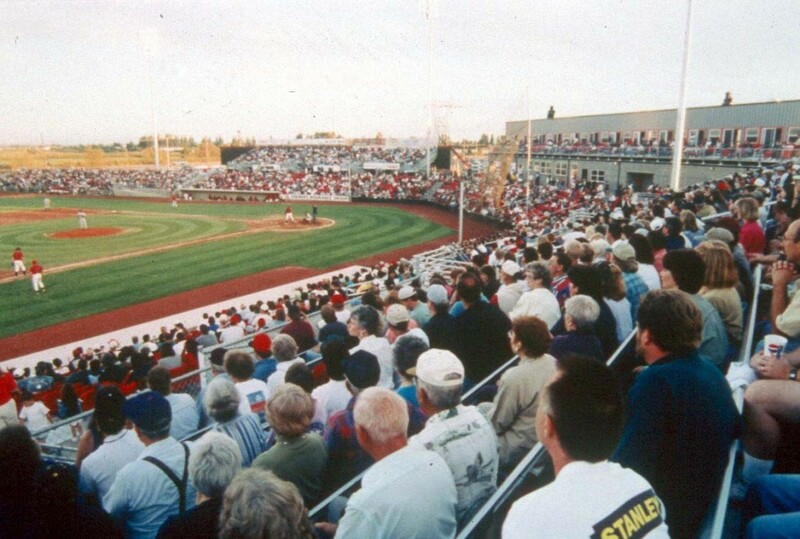 This new baseball field and stadium, built in 1997 for the Salem-Keizer Volcanoes, includes seating for 4,000 in several classifications: 13 luxury skyboxes, box seating, reserved seating, and general admission, with a picnic area along the third base line available to all fans. 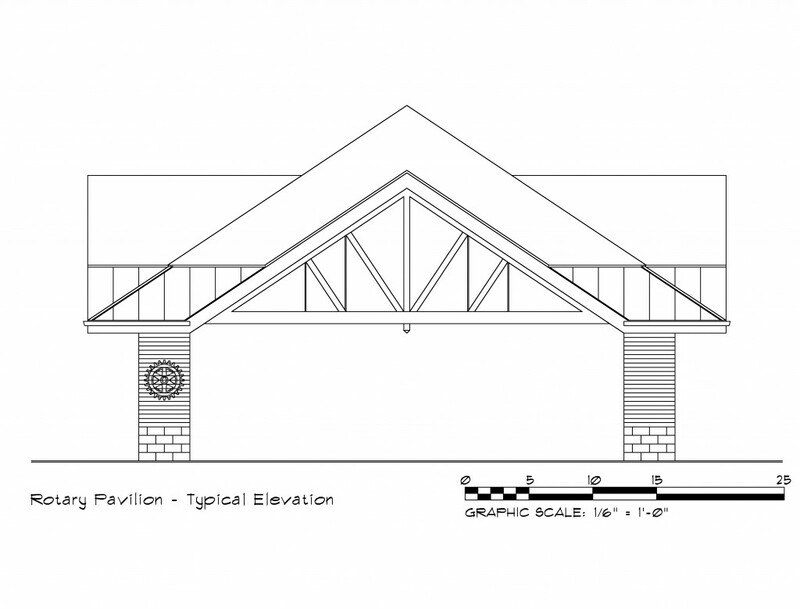 Concession facilities are evenly distributed throughout the stadium and allow for visibility of the playing field. 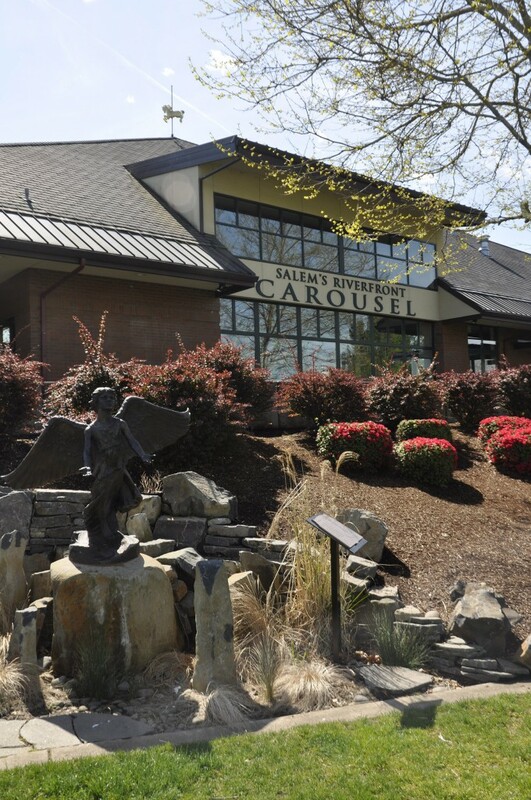 Public restrooms and the ticket booth are ADA accessible and there is parking for 1,800 vehicles. 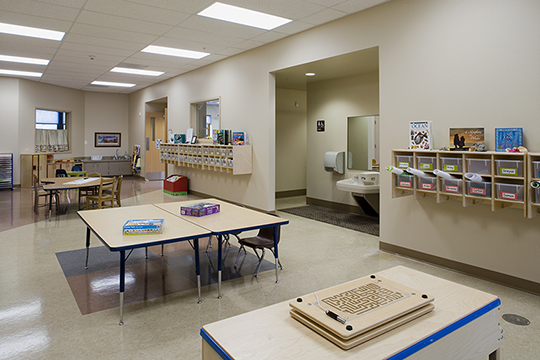 Separate clubhouses, dugouts, and bullpens are provided for home and visiting teams and there are team training areas and several team administrative offices. 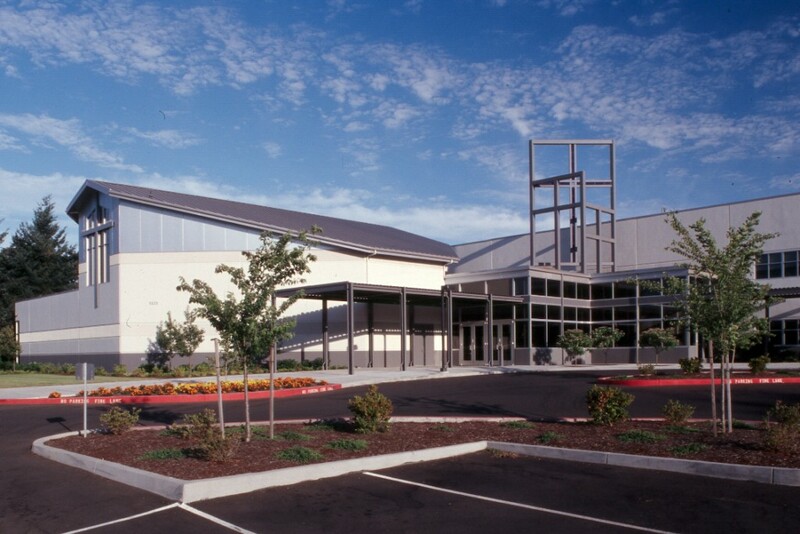 For media coverage there is one main press box and three radio broadcast booths, in addition to designated areas for television and print media at the field level. 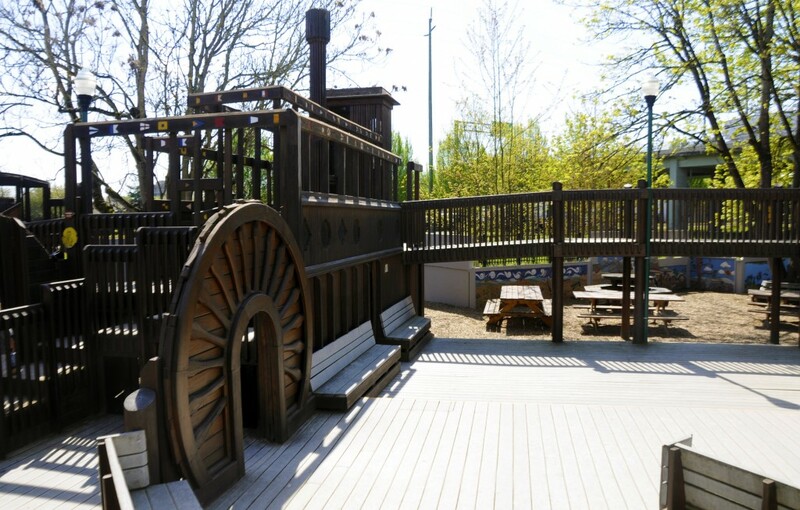 While still a relatively recent addition to Salem, the Riverfront Carousel has become one of the community’s most iconic buildings. 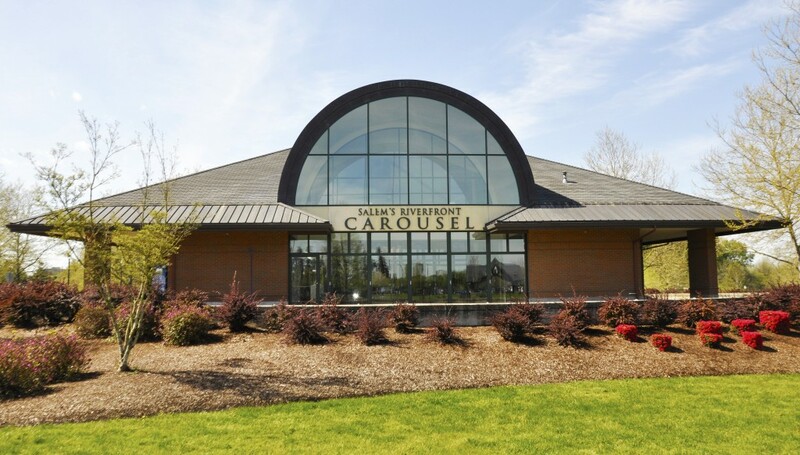 AC + Co designed a facility that houses a carousel of 36 hand-carved horses and other animals. 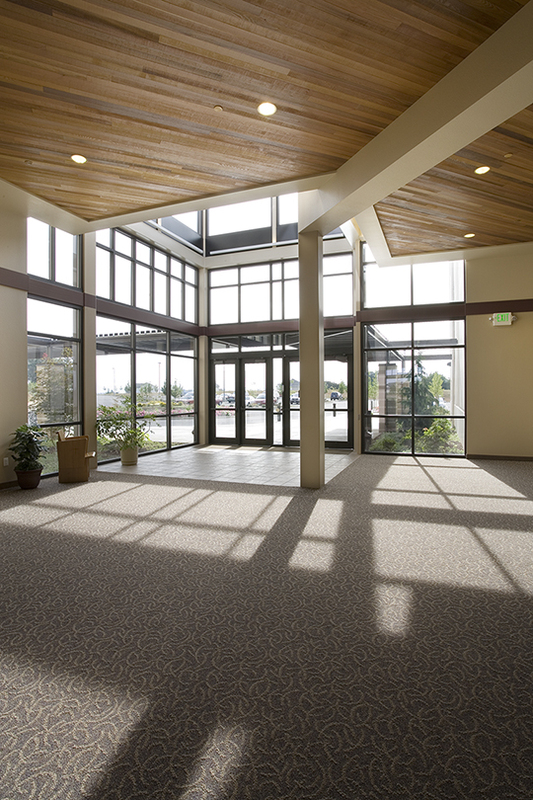 The building, located at the South end of beautiful Riverfront Park in Salem, is 5,000 square feet and includes a gift shop, office, repair and maintenance area, and meeting room/rental space. 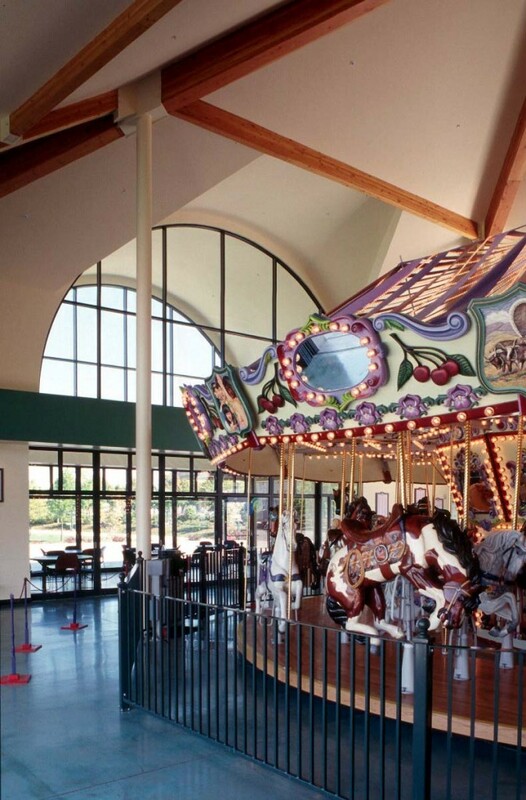 Large sliding doors adjacent to the carousel allow for wonderful natural ventilation and also for the organ music to be heard throughout the park and along the edge of Salem’s neighboring downtown historic district. 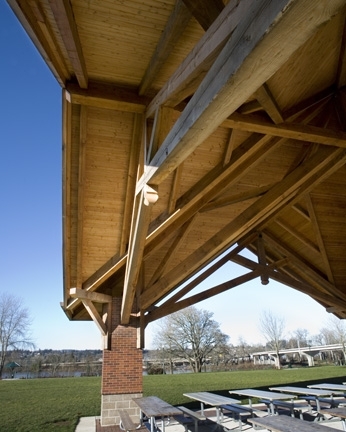 The Rotary Centennial Pavilion, the tangible result of years of lobbying by Rotarian Mark Wulf, is a complex timber roof structure with almost entirely compound joinery. Mark proved himself adept at corralling local support for this event, as evidenced by the number of names that are on the sign at the site. 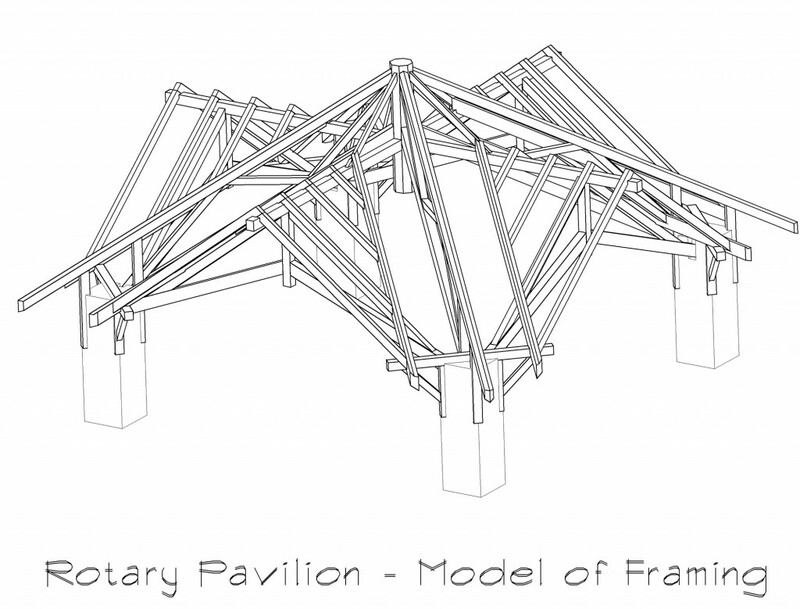 The Timber Framing Guild laid out, cut and assembled a large free-span roof as guests of the Rotary Club in Salem. 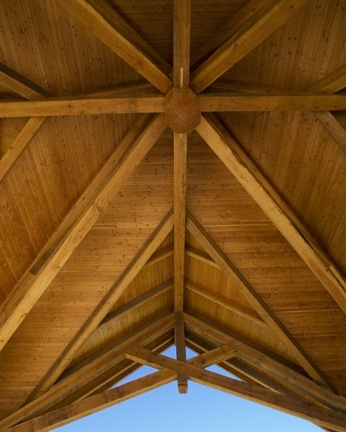 Timber framers with expertise in scribing and square rule timber framing were recruited from the United States and the United Kingdom, making this an impressive international effort. 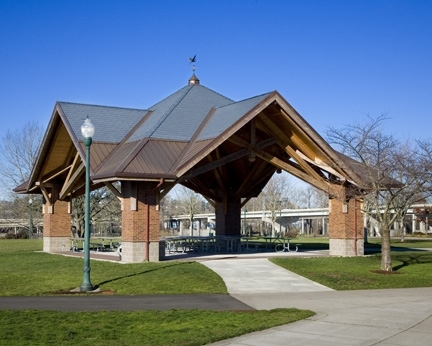 This highly visible public structure is located downtown on the newly reclaimed waterfront. 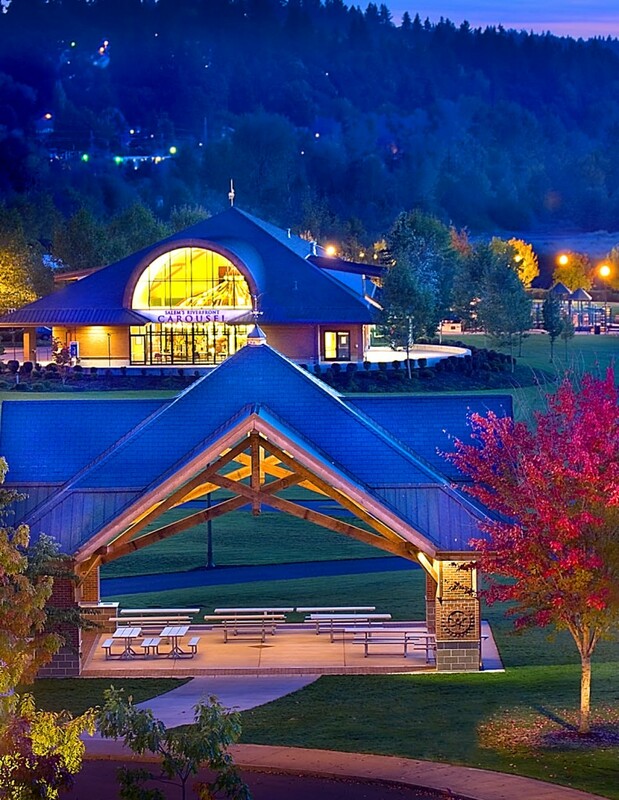 The pavilion is 42’ from pier to pier, making it an impressive structure. 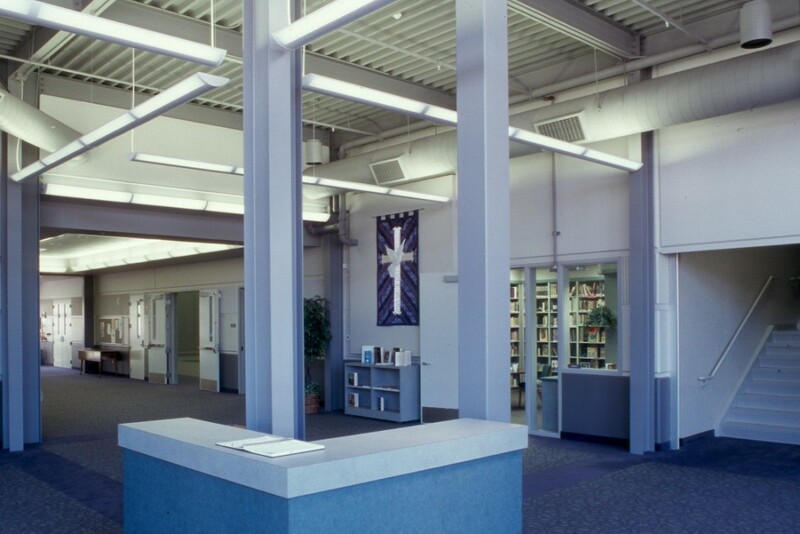 The roof was raised via cranes onto the existing masonry piers.This structure depends upon four masonry columns to resolve outward forces, making it possible to create an airy and open roof system without major tie beams from corner to corner. 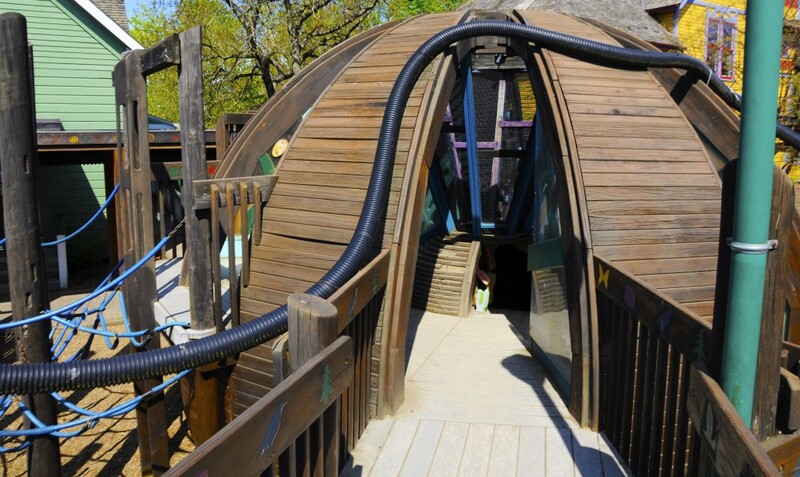 This evokes the earliest uses of heavy timber construction in the great cathedrals of Europe, with their masonry walls supporting and resolving the thrust of lofty roof systems. 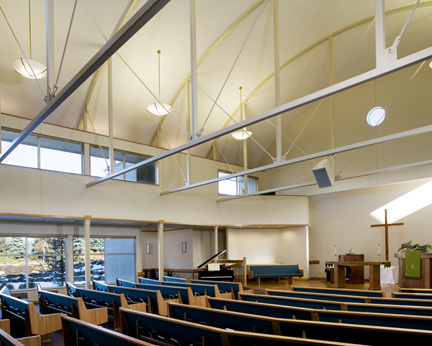 This project included an addition to a 1960’s church. 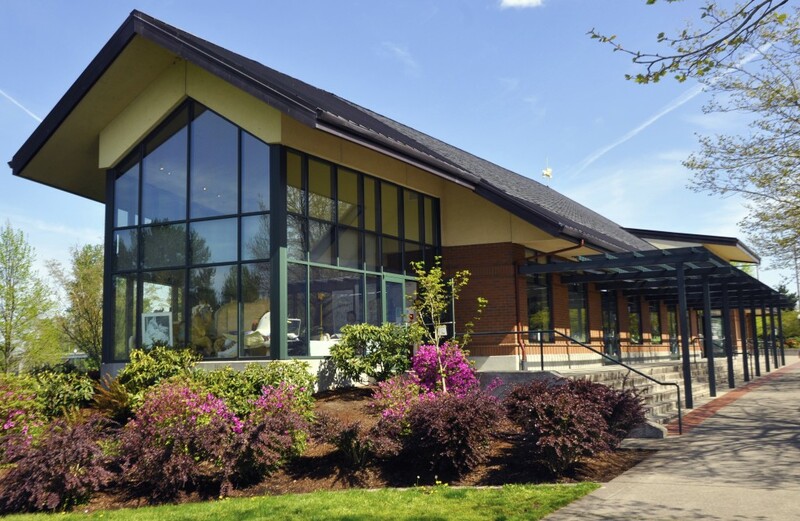 The addition of new restrooms, an office area, and an expanded narthex to complement social activities paid special attention to the 60’s modern architecture. 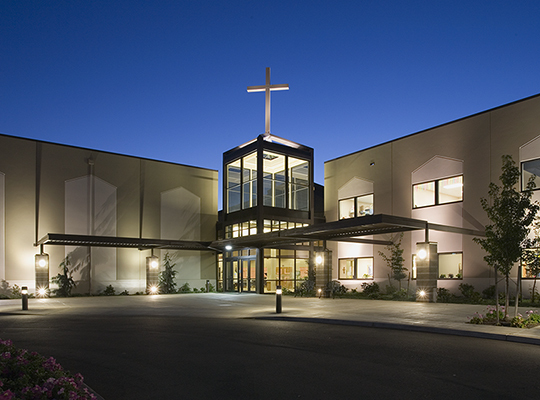 The project also addressed the church entrance and a more efficient and slightly expanded parking area. 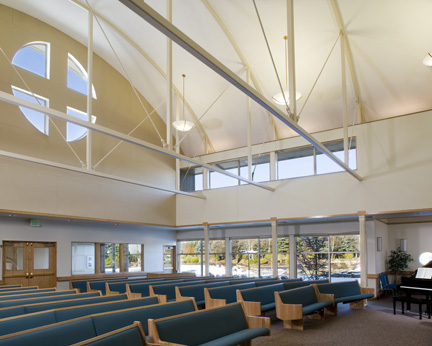 The new barrel-vaulted sanctuary provides beautiful opportunities for natural light and is a unique visual landmark for this long time Stayton church. 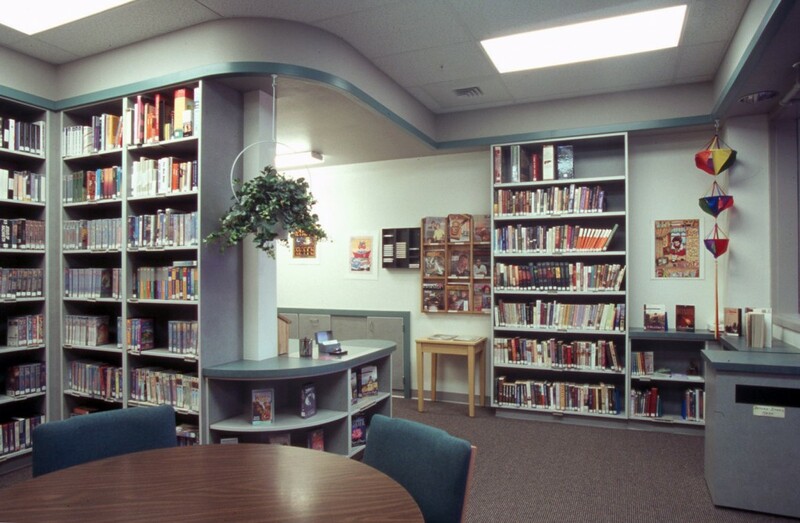 This project consisted of the construction of a 31,500 s.f. 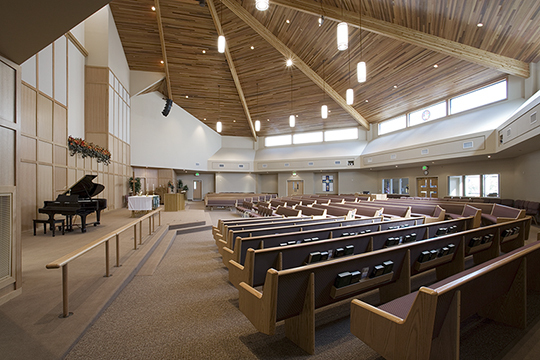 facility which includes a 300 seat sanctuary, chapel, multi-purpose room with kitchen, library, church offices, a large narthex, and a two-story education wing (nursery through high school). 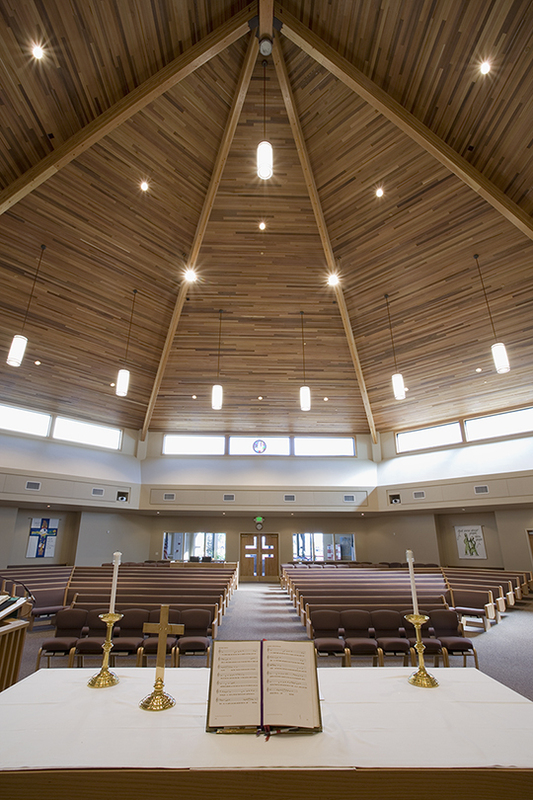 Trinity Covenant’s new facility was designed on the same site as their older pre-existing structure and the congregation remained in their old facility through the entire construction process until the new church was complete for occupancy.